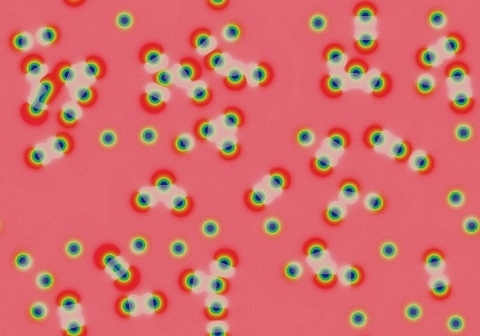 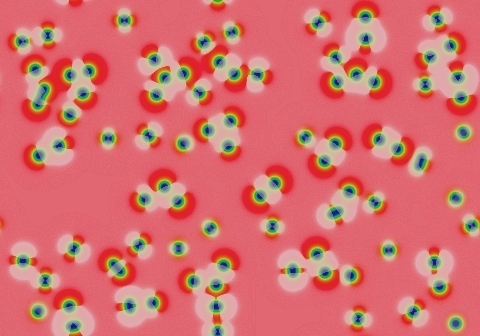 These images and movie demonstrate the behavior of the Gray-Scott reaction-diffusion system with σ=Du/Dv=2 and parameters F=0.0660, k=0.0650. 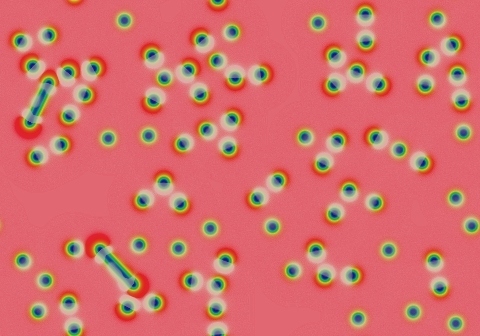 Solitons repel to a fairly broad spacing. 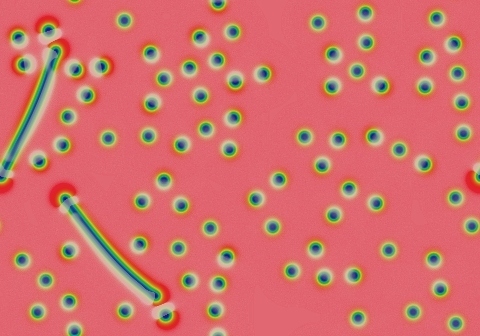 Worms grow rather slowly. 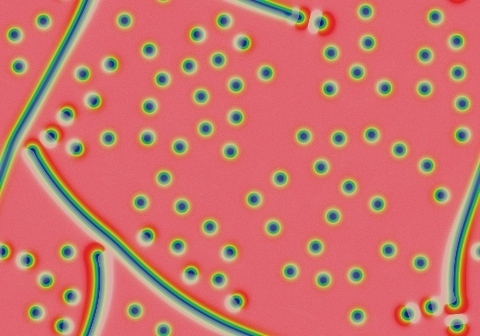 In this simulation the worms keep growing for over 2,500,000 tu, and gradually corral the solitons into a narrow space.